I am happy to help you choose which radiant beauty is most beneficial for your Ascension path now. Marcel Vogel, famed IBM crystal researcher, found that precisely faceting raw quartz crystals he was able to produce a consistent high frequency vibratory pattern that belonged to each unique cut. 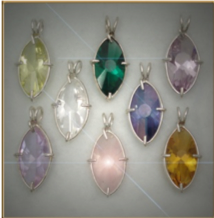 Recently I was guided to offer a way to assist you to more easily embody the higher 5th Dimensional crystalline Light Body through this spectacular crystal jewelry. Through our continuing lightwork at Aruna, the crystal jewelry is being directly initiated by the Ascended Masters to hold a higher wisdom awareness, heralding a new era of harmony and love. They anchor in the purity of your I AM presence, bringing the powerful Gold and Silver cosmic Rays into form. 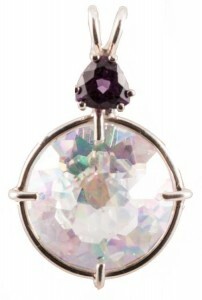 A student asked me to help pick out her pendant. Both of us were drawn to the Ascension Star cut. When I handed it to her, I could instantly feel the direct transmission flooding her High Heart region. Her heart chakra burst open, and she burst into tears of gratitude. It was such a palpable and instantaneous flood of fabulous high level energetic upgrades. Another client loved the Infinite Eye, but I felt it wasn’t the most essential piece as she was already quite open intuitively. 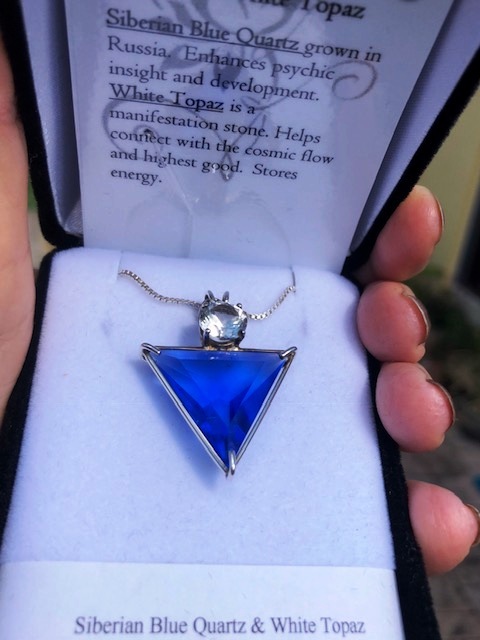 So I suggested the Radiant Heart, and as soon as she put it on, we both felt her Soul/Spirit more stabilized and grounded in her body…the pendant instantly helped her to become more fully EMBODIED. 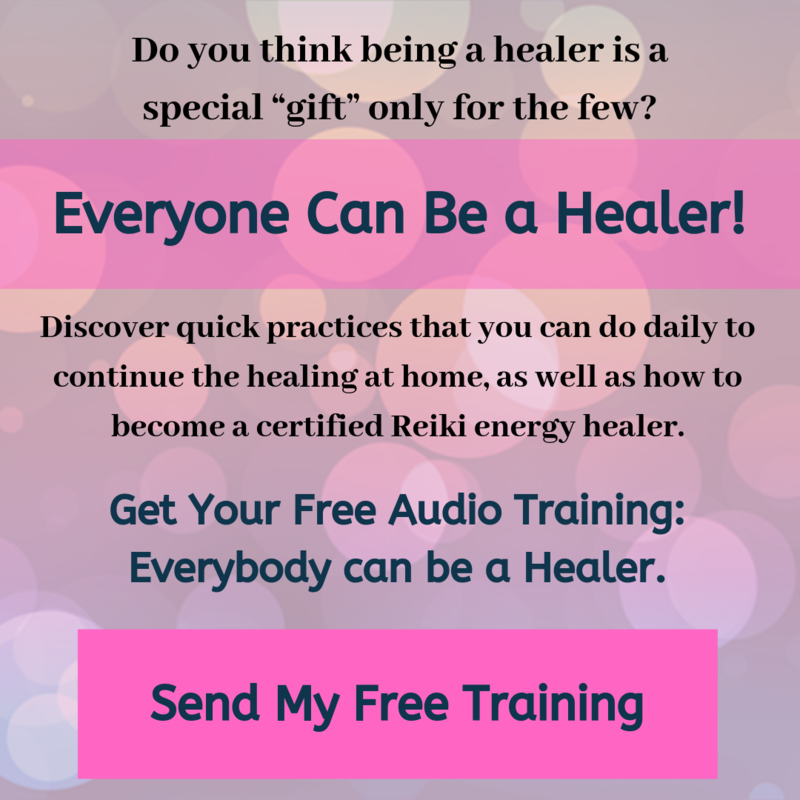 Interestingly, she is creating a new online healing course so it felt to me like the Radiant Heart was assisting her to do this with more ease and grace. 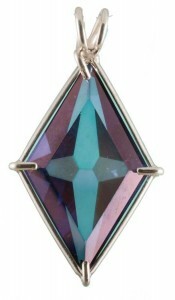 When my husband Kumara presented me with my first jewelry gift it was the Radiant Heart pendant. (I now am blessed with several!). I could instantly feel my heart energy being gently but powerfully amplified out to others. It felt like my Lovelight was more easily shared without any effort on my part…a real bonus for a spiritual teacher and healer. Gave me serious God bumps and for a long time was my favorite necklace to wear as it made me feel like I could be more of my true essence. NOTE: This link is for informational purposes only as they do not sell directly to customers. To purchase or find out pricing please contact me directly at Kumari@kumarihealing.com. I am happy to help you choose which radiant beauty is most beneficial for your Ascension path now.